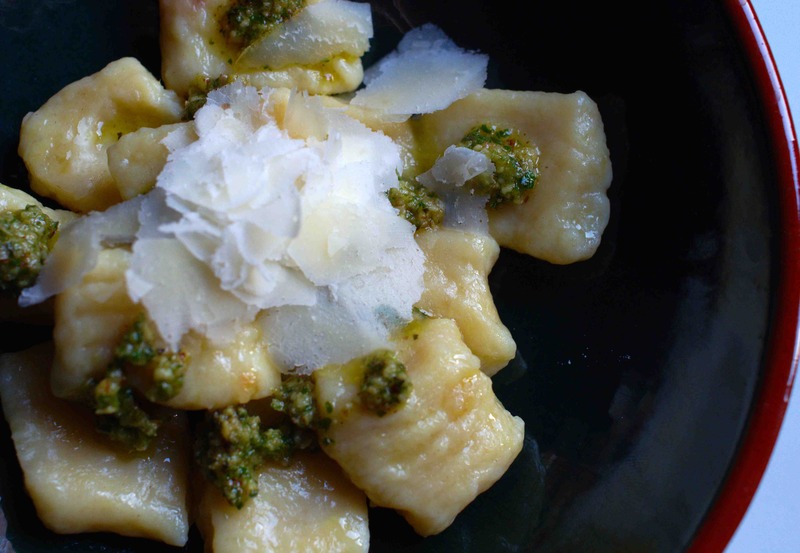 This entry was posted in gnocchi, pesto by chaiselongue1. Bookmark the permalink. I’m glad I’m not the only one it’s happened to! I think baking the potatoes makes all the difference. I’d only seen recipes which suggested boiling them until now. Hello: I too am planning to make John’s potato gnocchi over the weekend . . . may I throw another hat in the ring 🙂 ! 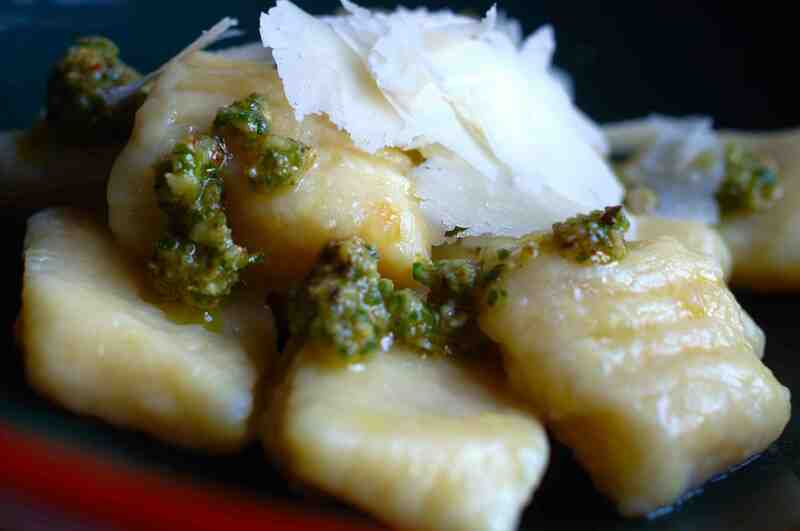 I do not oft use potatoes, but when I need them for something like gnocchi, I steam them – so eay, so foolproof!!! One does not loose any food value into the water, one does not dry them out . . . I did ask the gal on the veggie section this am for the most appropriate potatoes, so we’ll see how we go! Have a good weekend all you gnocchi makers 😀 ! I’m so glad to read that you were successful. You’re probably right about boiling the potatoes. I never understood why many boil them. The added moisture can’t be good. By the way, I bet that hazelnut pesto of yours was delicious. That must have been some meal! Thank you for mentioning my blog and recipe. That was very kind of you. When I first learned to make gnocchi it wasn’t such a great success either until my mother-in-law told me to just add an egg in the mixture. It worked, sort of, but I think these italian mamas just have it in their genes to turn out great potato dumplings. Me, it took several attempts before my husband ok’d the results. They look fantastic. I have to do this – you’re doing a brilliant sales pitch for John, a man who thoroughly deserves it. The baking makes so much sense to me. Those gnocchi look “fantastici”!! Lovely shots!! And oh yes, il Signor Bartolini is ace!